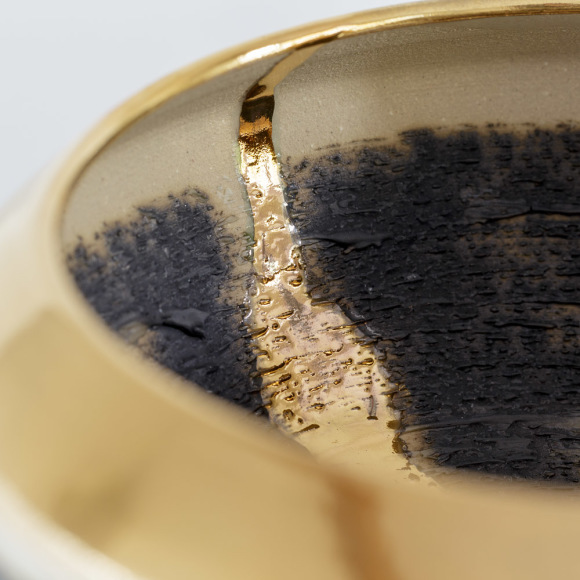 Alex McCarthy makes beautiful tactile artefacts inspired by textures that surround us such as: tree bark, natural rocks, cracking paint and even marine life. 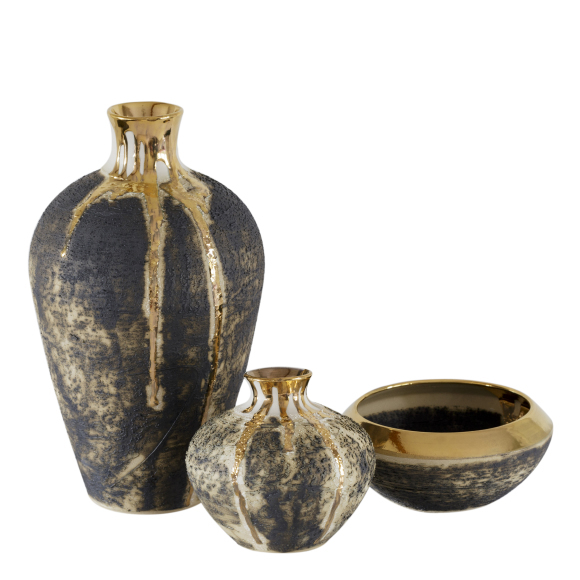 Metal oxides add depth whilst the gold, platinum and copper lustre adds a sense of opulence. 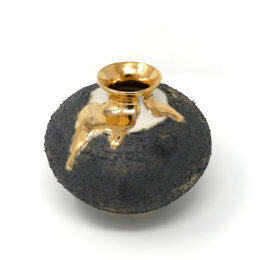 Each piece is kiln fired in three stages, including bisque, stonewall and a lustre firing in platinum, gold or copper. 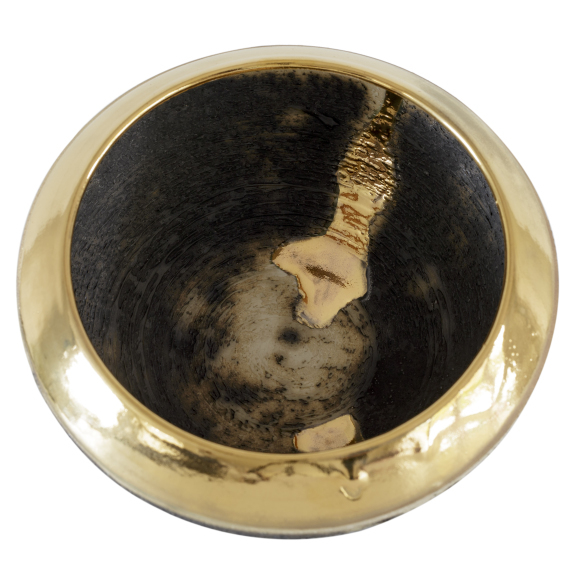 "No two pieces are ever the same; this is intentional, as I feel each piece has its own story to tell." 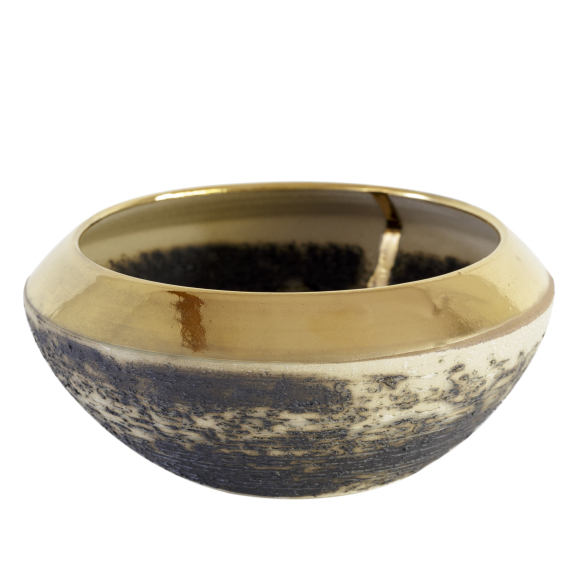 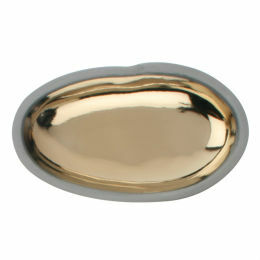 This beautiful and decorative bowl has a striking crackled charcoal texture with an opulent gold lustre drip detail. 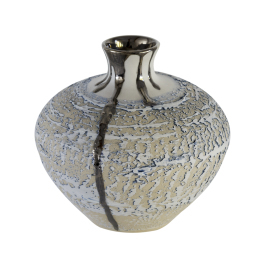 This exceptional piece would make a gorgeous gift for someone special or would be a stunning piece of art for your home, lovingly made by award-winning ceramicist Alex McCarthy.